Planning a fair, festival, or large event? We can help you wow your crowd with a variety of fun, fair and festival entertainment! Our street performers are great for large events. 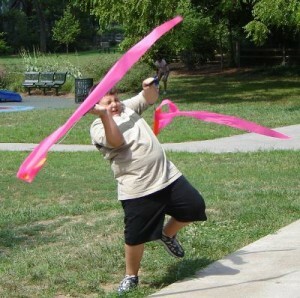 They will amaze the kids and adults, and get them laughing and having fun as well! 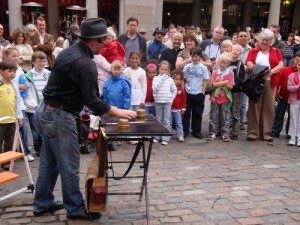 Street magic–Great if you have a very large crowd and other activities going on as well. Comedy magic shows–Get your group laughing and having fun together. Strolling, close-up magic–Performed right under your guests’ noses! Great as a warm-up to a show, in a dining area, etc. Magic workshop—Teach kids tricks they can show their families and take home as souvenirs! Which juggler format(s) is best for your fair or festival entertainment? 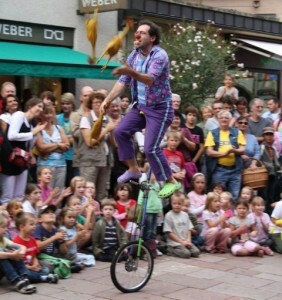 Street Juggling–Draw a crowd. Wow them, get them laughing. Then let them move on, and start up again. Juggling Show–Amaze and entertain your guests with a variety of juggling feats! 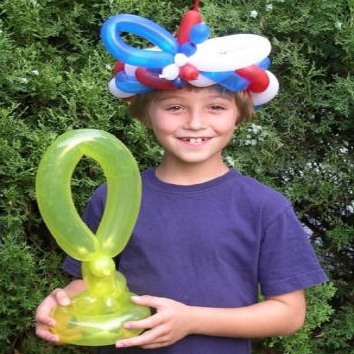 Roving Juggler–Work the crowd. Great as a warm-up prior to a show, or as entertainment in itself! Circus Workshop–Let your guests try their hand at juggling and balancing various circus items. Interactive and hands on. 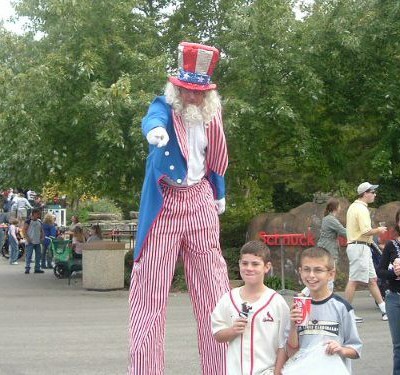 Towering high above the crowd, the stilt walker provides a great ambience for your event. A great way to greet your guests as they arrive. Iconic fair and festival entertainment. Our side acts not only provide great take-home souvenirs for your guests, but are entertaining to watch being made! Very popular with kids, our face painting adds color and fun to your event! Kids love watching the balloon artist twist the balloons into amazing shapes, and taking them home as souvenirs. 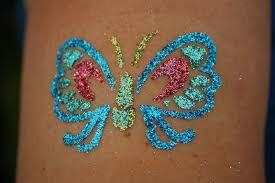 Your guests will love wearing and showing off these glittering tattoos. They can last a few days, until you wash them off. People enjoy watching the caricature artist in action, then taking home a comical depiction of themselves at your event. 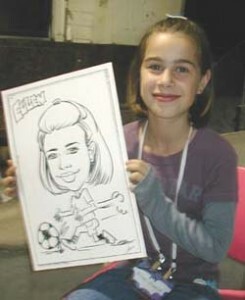 This festival entertainment provides a great keepsake and long-lasting momento of your event. 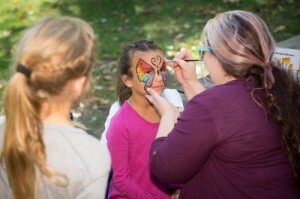 Your guests can try their hand at a variety of circus equipment—tossing rings, juggling scarves, spinning plates, twirling the ribbon, catching shaker cups, … Our resident circus instructor teaches simple tricks with the apparatus. Very interactive, hands on, and fun! Your guests make and take home an amazing magic trick. Our continuously folding card is one of our more popular make-a-magic-trick items. You can carry it in your wallet and entertain your friends with a variety of puzzles and most of all, the amazing card itself! Where do we provide our fair and festival entertainment? Being based in St. Louis, Missouri and Illinois are the two biggest states we serve. Indiana and Kentucky, as well as Tennessee and Arkansas we travel to quite a bit. Iowa and Kansas are fairly close for us as well. If you are in a different state, let us know where you need us and we’ll do our best to bring our fair / festival entertainment to your location. Please call or email us to discuss your unique event, and fair – festival entertainment we can provide or customize to enhance it. We look forward to delivering festival entertainment to make your event an even bigger success!